Although best known for his birds, rabbits and fish, as you will see throughout Frank’s website, it would be difficult to categorize his paintings into any single style. From vividly colored koi swimming in a feeding frenzy to a serene winter scene with geese flying overhead, Frank believes in the oriental philosophy of painting which suggests that those subjects which are best painted are held in one’s memory. The images that are indelibly etched into Frank’s memory have produced paintings of simplicity and depth, and often with his own brand of humor. Contact Frank at frankgee@comcast.net or visit his website at www.frankgee.com. 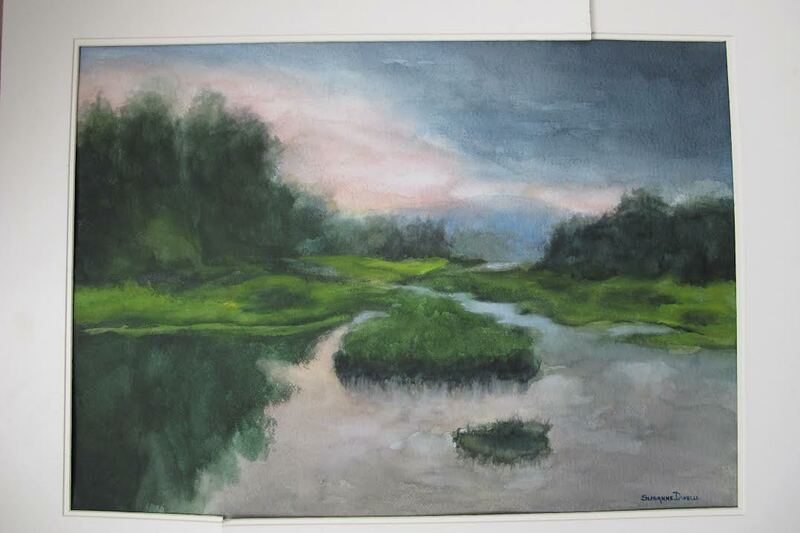 Since moving to Gallatin in 2009 I have enjoyed learning to paint with watercolors, as well as continue with acrylics. I stumbled on a new subject matter a few years ago – painting fun and in-your-face animals and they have been a big hit. 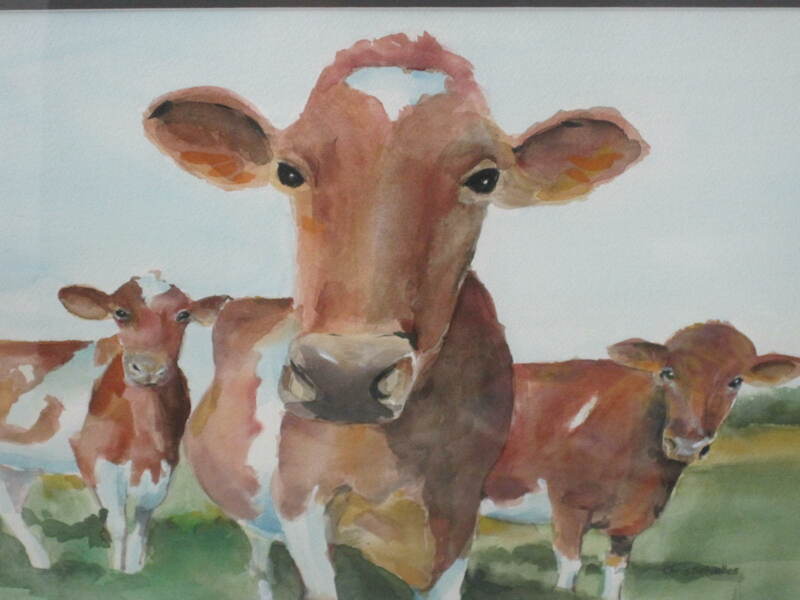 I also paint flowers, sea turtles, seascapes and my trademark silly ostriches and some fish….and, of course cows. I recently started painting old cars and trucks, which have been well received. I hope that my animal paintings will make you smile – that is my goal. I have prints and also notecards available for sale. I have been one of the featured artists at Mrs. Bridgewater’s Chicken Extravaganza in Dickson Springs for the past three years. 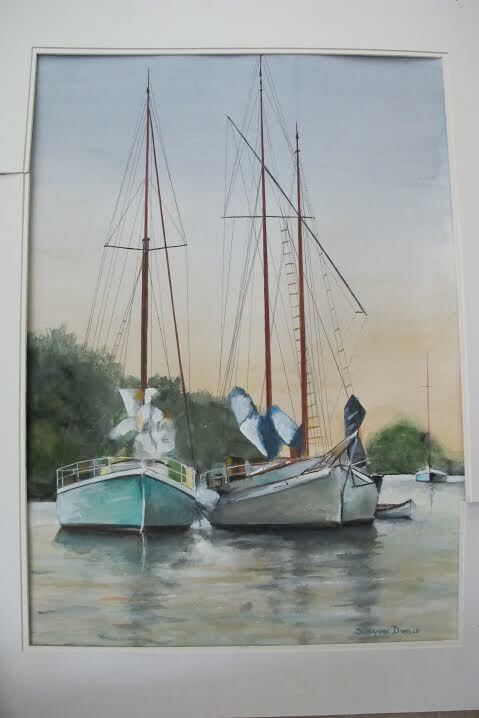 I began to paint back in the early 70’s but left it when I returned to teaching school in 1976. However, retirement in 2004 afforded me the time to resume this pastime which I did in earnest about six years ago. The buildings and landscapes in Sumner County provide a wealth of subjects and have been the focal points of much of my work. While watercolor was new to me until a few years ago, that medium is a real favorite now, although I do, in addition, paint in oils and love the “thick paint” and vibrant colors they afford. All in all, my art is certainly a great source of satisfaction from the initial planning of each piece to the last dab of paint! My associations with fellow artists in the area are, likewise, a really special part of “this artist’s life”! Alyx Gabers loved pushing paint around a canvas, but it wasn’t until she studied under two incredible artists that she gained the confidence to proudly call herself an artist. Learning form and precision in portraiture from Jennifer Simpkins Emery and color, beauty, humor, and light from Frank Gee helped Alyx develop her own style. A range of media and subjects – bold, black-and-white acrylic portraits to giant, colorful oil landscapes – fill Alyx’s portfolio because she paints to please. Contact info and more works can be found at www.alyxart.com. I received a Bachelor of Fine Arts Degree in painting and drawing with a minor in textiles from the Louisville School of Art. I received a Master of Fine Arts Degree in fibers from Southern Illinois University. After teaching art for 27 years in Texas, Massachusetts, New York and Tennessee, I enjoy spending more time on my own artwork. I am interested in color, pattern, and texture using beads, yarn, fabric, handmade paper, and mixed media. I am creating jewelry and wearable accessories as well as art for the wall. I also enjoy drawing with pen and ink as well as creating art using pastels and paint.